With all the news surrounding the 2019 Ram 1500 after it debuted at the 2018 Detroit Auto Show, it’s easy to forget some of the interesting news Ram trucks brought us last year. 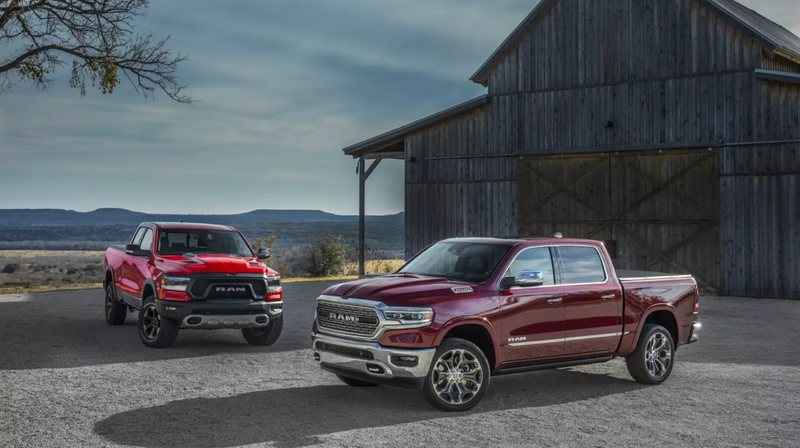 Yes, the 2019 Ram 1500 Laramie Langhorn looks sweet, and sure, a starting MSRP of $31,695 (plus destination fee) for the 2019 Ram 1500 price tag isn’t bad at all. But who can really forget about the 2018 Ram Truck Harvest Edition? Or the news about the luxurious 2018 Ram Limited Tungsten Edition? Read on for a recap of these amazing trims and more. Built for those looking for luxury in 2018, Ram trucks unveiled the 2018 Ram Limited Tungsten Edition during the summer of 2017. Offered on the Ram 1500, and later the Ram 2500 and Ram 3500 single- and dual-rear-wheel, the Limited Tungsten Edition is available with several configurations for consumers to choose from: Crew Cab and Mega Cab (Heavy Duty); four-wheel drive and two-wheel drive; and short- and long-wheelbase models. The Limited Tungsten Edition includes a truck segment-first Light Greystone suede headliner and ultra-premium “Natura Plus” Frost and Indigo-colored premium leather throughout the cabin, Indigo-colored carpet with rubber floormats and snap-out Frost and Indigo carpeted inserts, real wood interior components, and several luxury and comfort features in the interior. Classy stuff! All that for a starting MSRP of $55,120 (plus destination fee). Next came the 2018 Ram Harvest Edition. Developed with the agricultural workers of America in mind, this special Ram truck should help make the daily grind a little easier for those out in the field, in the farm and on the road. Because not all farmers use the same equipment, the Harvest Edition was made available across the Ram 1500, 2500, and 3500 lineups, in all four-door Quad, Crew, and Mega Cab configurations, all box lengths, and all powertrains. These powertrains include the 5.7-liter Hemi V-8, 6.4-liter Hemi V-8, and 6.7-liter Cummins Turbo Diesel. So how does the 2018 Ram Harvest Edition benefit the average American farmer? The 2018 Ram Harvest Edition comes with farm-life essentials, such as black tubular side steps, a durable spray-in bedliner, fold-out bumper step, mud flaps, and rubber floor mats. Add this to the nine inches of ground clearance and standard on/off-road tires on all Ram 1500 Harvest Edition models, and you have a truck built to get hard work done. Now you just need some nifty tech to keep up with modern times. Keep in mind the weather forecast and changes during the seasons with available up-to-the minute weather maps and forecasts customizable to any location the consumer is farming. For entertainment, enjoy the use of Uconnect 4C comes with navigation, 4G WiFi, Apple CarPlay, and Google Android Auto standard. The last Ram truck package to grace the auto market in 2017 was a strictly appearance-only edition for the Ram 1500. 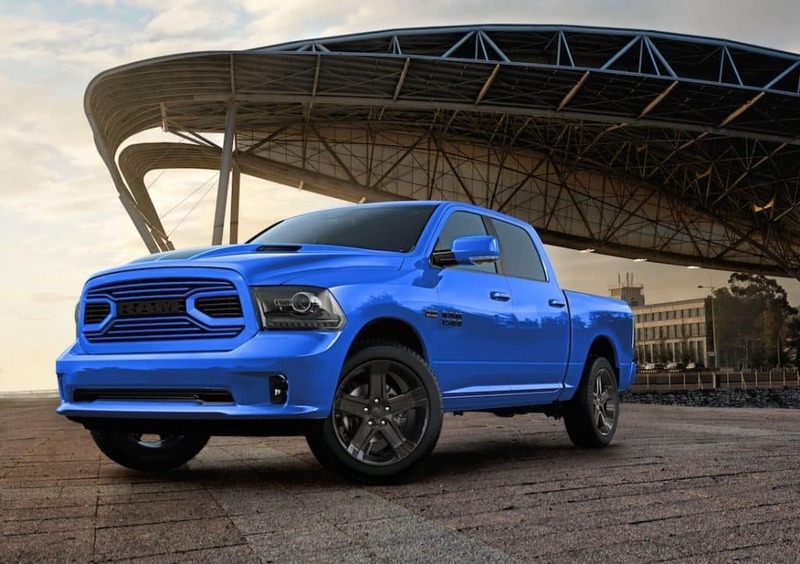 Named the 2018 Ram 1500 Hydro Blue Sport, the new special-edition is based on the sport trim of the Ram 1500, but comes with a mix of low-tier and high-tier goodies. Able to be configured with a crew-cab, short-box truck with rear- or four-wheel drive, and powered by a 5.7-liter HEMI V-8 engine, the Hydro Blue Sport is already packing a punch. Now check out the aesthetics. A monochrome exterior features a blue-painted grille, front and rear bumpers, and other body-color exterior touches. To keep this package from being a little boring, the hood, grille inserts, and badging are black, and dark-tinted headlight bezels and taillights complete the package. Inside, consumers will find the black and blue color scheme continues with blue stitched accents on the seats, door panels, steering wheel, and instrument panel. The center console and other interior components are also met with blue trim. Depending on the drivetrain, the Hydro Blue Sport 4×2 rides on 22-inch wheels, whilst the 4×4 is outfit with 20-inch wheels. The starting MSRP for the 2018 Ram Hydro Blue Sport is set at $46,060 (plus destination fee). Being a truly limited edition, the production of the 2018 Ram Hydro Blue Sport trim will cap at 2,000 units. Once these limited editions are gone, that’s it. There was one limited edition that was spotted during the 2017 Chicago Auto Show if none of these tickle your fancy. 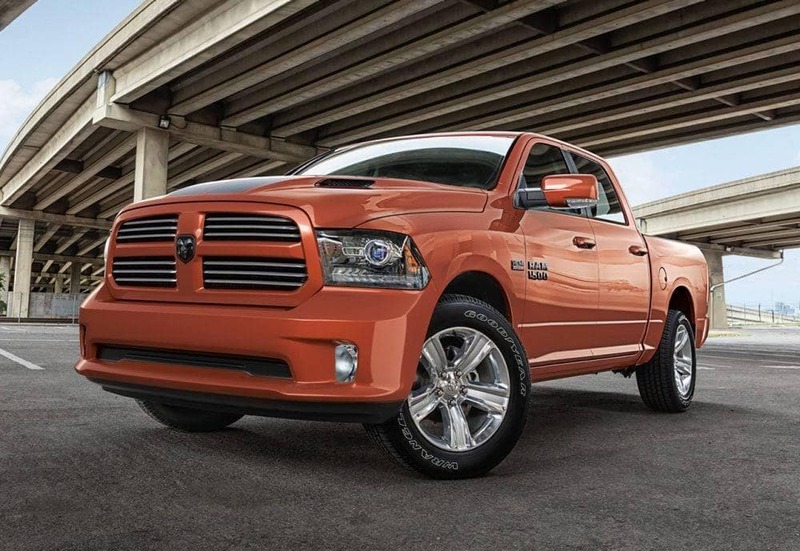 It’s the 2017 limited-edition Ram 1500 Copper Sport featuring a new copper body paint job, along with some new graphics and an upgraded interior. For a little color contrast to the copper colors, the Ram’s head grille badge, tailgate badge, and side badges are all blacked-out. The interior is also all black, with copper-colored stitching, and features an upgraded Alpine nine-speaker sound system. This limited-edition trim is available with a starting MSRP of $46,950. 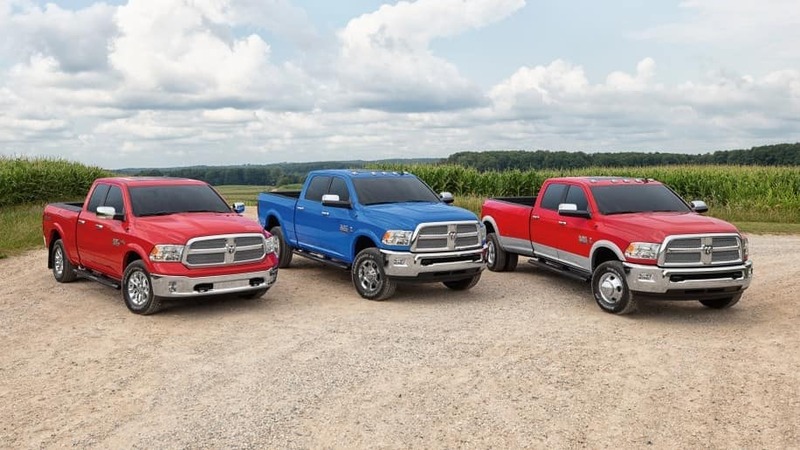 Let’s talk about these limited editions on Aventura CJDR social media, and give us a call if interested in your own Ram 1500 light duty pickup truck.